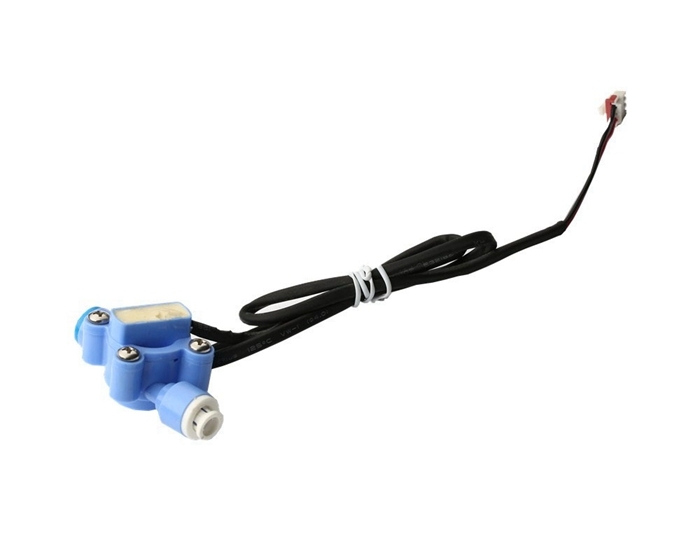 Water flow sensor by copper body and plastic forming, water flow rotor components, steady flow components and hall components. It into water dispenser, coffee machine and household appliances the water used for measuring the water flow. When water flows through the rotor components, magnetic rotor rotating, and speed along with the flow of a linear change. Hall element output corresponding pulse signal feedback to the controller, the size of the flow of water by controller judgment,adjust proportional valve control of electric current. Water flow sensor fundamentally solve the differential water-gas valve flap type high pressure and start water valve easy misoperation appear dry and shortcomings.It has reflected sensitive, long service life, action quick, safe and reliable, joins convenient traffic advantages such as the start low, deeply the general user affection.